NEXT VICTIMS? OR ALREADY VICTIMS? General David Petraeus after nine Afghan children gathering wood were slaughtered by the US. 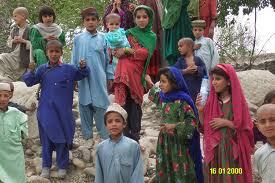 On 3 March, occupying forces in Afghanistan killed nine children gathering wood in Kunar Province. This time, instead of despicably accusing Afghan parents of killing their own children to laughably cast the US in a bad light (we don't need any help), according to the L.A. Times, Petraeus “swiftly” apologized. Well, as someone who has had a child killed in this Imperial insanity, I know that apologies and blood money are just not enough to assuage the overwhelming grief one feels when a child precedes a parent to the stone-cold permanence of death. If there is any worse thing than burying a child, burying one so that others can realize vastly improved bottom-lines has to be way up there. Having a child killed in needless and senseless wars is as needless and senseless as having one killed by a drunk driver. Even though there are strict laws in my state to punish people who drive while they are under the influence, apparently there are no strict laws against committing war crimes and crimes against humanity. There is not even a “War Criminal’s Anonymous,” where arbiters of peace and justice can send these brazen and unrepentant criminals to, after nine youngsters are murdered in calculated cold-blood. Tragedy can be described as a very sad or disastrous event. Tragic things happen to people every day at the hands of the Empire, and since the USA is the world’s top-evil Empire, the people that are on the receiving end are the ones that should have the most claims on our sympathy. However, we also know it is a fact that many US troops come home with what used to be called “shell shock,” but is now called Post Traumatic Stress Disorder. I would hope the ground-level soldier who made the “mistake” (but make no mistake about it—there are no “mistakes” in illegal wars of aggression—every activity is criminal) that killed these children in Afghanistan has the conscience of a human being and is at the very least troubled by what he/she did. We call things that kill people without remorse: Monsters. Well, the Monster Petraeus claims that the U.S. is “deeply sorry,” for the deaths of the Afghan boys, but we know that few people at the helm of this demented ship of state are truly “sorry” that anyone is getting killed, let alone nine desperately poor children in Afghanistan—over a million people have been killed since 9/11/2001 and if any tears have been shed by the war mongers, they are of the crocodile variety, to be sure. How about the rest of the people who reside and pay taxes in this Empire—do they even know about this incident? In the Charlie Sheen/Newt Gingrich soaked news-o-tainment industry, these deaths haven’t even been mentioned. When that tax check to Uncle Sam is written every year, or when he takes his pound of flesh every payday, does the average American even stop to think what his/her money pays for? During the marathon-infomercial some people like to call a “presidential campaign,” then candidate Obama, was very clear that he would close Guantanamo Torture Facility and “restore habeas corpus” to those detained. Candidate Obama correctly identified the existence of such a place as a detriment to America’s “image;” yet, as president, Obama recently signed an executive order to restore Military tribunals and has not kept his promise, nor carried out his other executive order to close the prison. According to British journalist, Andy Worthington, dozens of teens, sometimes 12-13 years old have been incarcerated in Guantanamo. Who’s going to say “sorry” to them for having their lives stolen along with the unspeakable torture and inhumane treatment they received at the hands of the Beacon of Democracy? One member of this Gitmo Youth Group, Mohammed Jawad of Afghanistan, was tortured in Gitmo, confessed to the crime he was accused of, and held in detention for seven years based on a confession gleaned from torture! Imagine being 12 years old, arrested by foreign occupiers and then tortured. What would you say? Would you “sing like a bird,” as U.S. officials derisively said about this child? Now imagine your own child or another relative being treated worse than an animal and imprisoned for 1/3 of their young life for nothing. No “swift” apology came for Jawad, and nothing, especially an empty apology, could give him back his life, anyway. Speaking of torture, PFC Bradley Manning has been tortured at Quantico for over a year now for allegedly “leaking” information to the whistleblower site, Wikileaks. Bradley has been held in solitary confinement for 23 hours a day for nearly a year now. He has been charged with 22 counts, including “aiding and abetting the enemy” and faces execution if convicted. The civilian and military leaders of this Empire “aid and abet the enemy” everyday by their actions, orders, greed and insanity. In fact, they are the ones that are the enemy, and if he did leak the material, Manning exposed them he did not “aid” them. In fact, one of the things Manning allegedly leaked is the “Collateral Murder” video, which is an egregious example of military mayhem that shows an Apache helicopter crew in Baghdad strafing some journalists and a van with two children inside that rushes to the aid of the journalists. When the crew discovers that children were in the van, you hear a soldier with a deficient soul say, “Oh well, that’s what you get when you bring children to a war zone.” Actually, quite the opposite, the U.S. illegally and immorally brought the “war zone” to the children and is sending the children of our nation to slaughter the children of others. The Empire reminds me of my nearly three year-old grandson, Jonah--whenever he knows he has done something he shouldn't, he says "I sowwy, I sowwy," right away thinking his "swift" apology will expunge his guilt and avoid punishment. Jonah doesn't really mean it either, but he's too young to know the difference. Monster Petraeus was correct about one thing--these deaths should never have happened, but the nine youngsters in Afghanistan weren't the first ones killed and they won't, unfortunately, be the last. War is so ridiculous with grown men behaving like out of control toddlers with live ammo, planes, helicopters and bombs--time for this Empire to crumble as all Empires have in the past. Just leave our children out of it.